Gourmet cupcakes are easy to make with this two piece set. 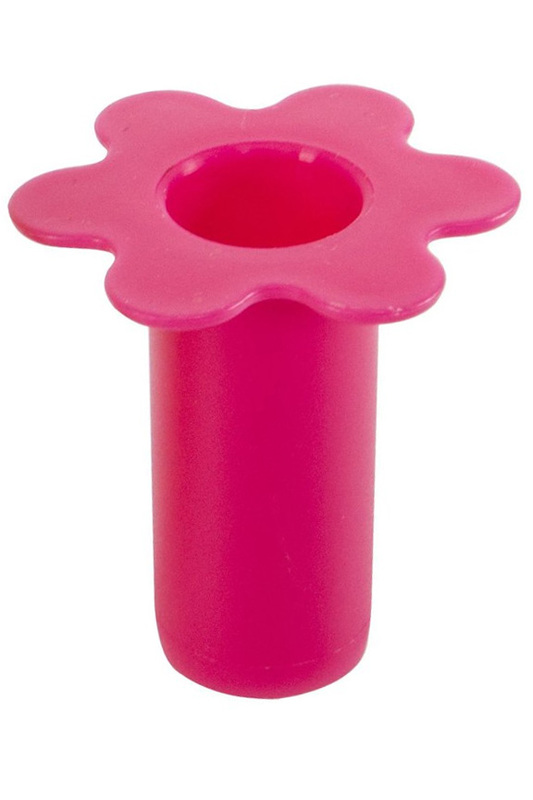 It includes one standard size corer, and one mini size one, so it won't matter what size cakes you have. Use either tool to quickly remove the center, and make room for filling before you spread frosting on top. Add extra icing, pudding, custard, or ice cream to the cavity created and enhance the flavor and presentation of your dessert. 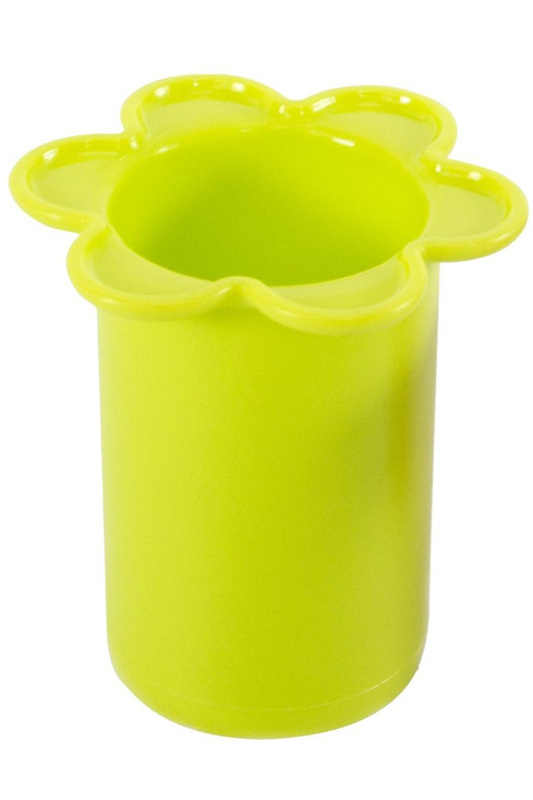 A slightly sharpened bottom edge makes it easy to penetrate the pastry without effort, and the large, flower-shaped top provides a comfortable grip when pulling it back out. It's designed to remove the whole chunk with a single motion, so it's way faster and more accurate than doing it by hand. You can remove the full length, or you can remove a smaller section to keep the cake sturdy, or prevent it from becoming too rich. When not in use, the smaller tool fits conveniently inside the larger one, so storage is easy. Don't settle for ordinary cupcakes. Mix up a decadent batch from scratch, or choose your favorite box from the store. Then use this tool to make them look like they came from a fancy bakery. Easily impress friends and family, or just enjoy the sugary goodness of your unique creation. Simple. No complex parts, or hard-to-clean pieces, but they don't seem necessary. This simple device works well without being complicated. Effective. Get fast results that are perfectly cut without any skill or effort. Low Maintenance. Simple to store, durable and easy to clean. Pop in the dishwasher when dirty and never worry about dull blades or broken parts. Easy-To-Use. Anyone can use this corer. A simple push, twist and pull technique is all that is needed. All plastic construction makes it safe and easy for children as well. One of the fastest and easiest ways to transform ordinary pastries into something special. This fun looking tool will allow anyone to impress friends and family members with little effort or time necessary. Follow the simple steps below to get professional looking results every time. Before beginning, choose the correct size. The pink one is for mini cupcakes, and the green one is for regular or large size ones. Align tool at the center, and then press down to cut. You can remove the full length, or less. Use a slight turning action to ensure a clean cut and ensure that it comes out in one piece. Lift up using the floral handle at the top to pull out and remove cake. Use your finger to pop out the cake you cut, then move on to cut more. Fill cavity with frosting, jam, ice cream, pudding or custard and the frost over the top. 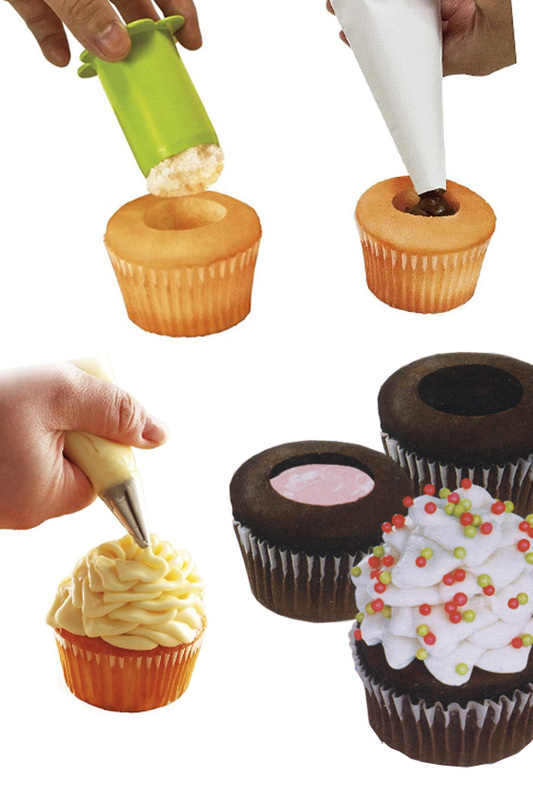 Uses Quickly remove the center of a cupcake in order to add extra frosting or another filling. Compatibility Use with mini or regular size thanks to the two pieces that are included. Tapered Edge Yes. A sharpened edge at the bottom makes it easier to penetrate the cake. 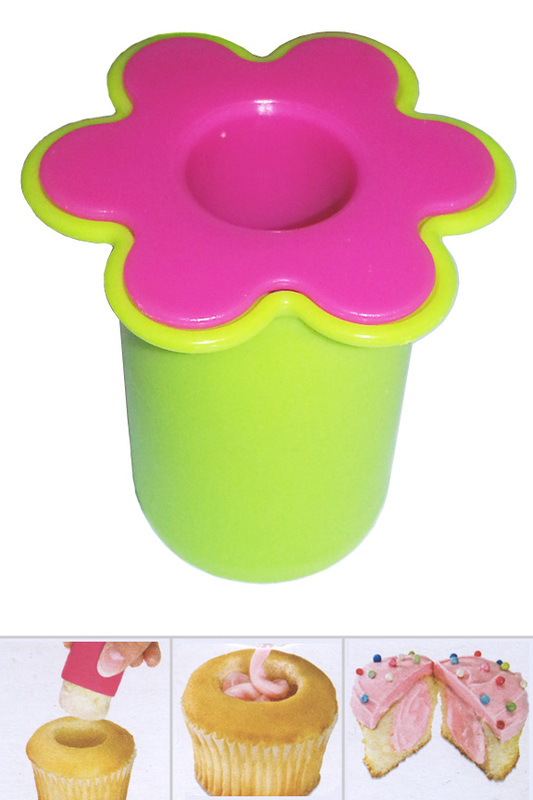 Hole Size 1.25" x 2" or .75" x 1.75"
Gourmet cupcakes in three easy steps. Give your desserts a professional touch with this simple tool. Order Yours Today! I received my cupcake corer on time and in good condition. It work like it was suppose to with a problem.